The Likud may form the next government, but the right has nevertheless been weakened, says Samaria Residents’ Committee head Benny Katzover. The Likud may be the Knesset’s largest party and will form the next government, but the right has nevertheless been significantly weakened, the head of the Samaria (Shomron) Residents’ Committee, Benny Katzover, said on Wednesday. “The power of the nationalist camp is down, we’ve got a tie, and it seems as though democracy has gone bankrupt,” Katzover told Arutz Sheva as results from the election indicated that the right-wing and left-wing blocs are now evenly matched with 60 seats each, if one counts the Arab parties as part of the left-wing bloc. The results will keep Prime Minister Binyamin Netanyahu in power but he will have to heavily rely on Yair Lapid’s Yesh Atid, which will be the second largest party, and perhaps even on other parties from the left in order to form a coalition. Lapid just last week launched an attack on “settlers” in Judea and Samaria who, he said, live at the expense of the middle class. 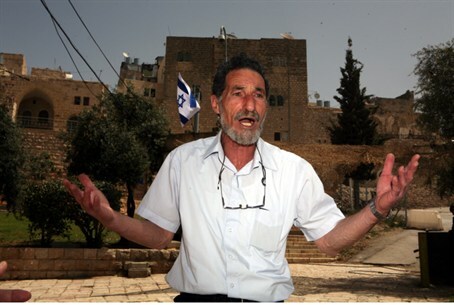 Katzover later responded to that attack, saying that Lapid is mistaken in putting Judea and Samaria residents in a separate category from the rest of the middle class. In a separate interview with Arutz Sheva on Wednesday, MK Zeev Elkin (Likud) said that the Jewish communities in Judea and Samaria will continue to be supported by the Likud in the next government, but admitted he was concerned that Likud’s coalition partners may not be as supportive. MK Yariv Levin (Likud) also predicted that Netanyahu will have a difficult time governing Israel. "The Prime Minister has received a mandate to form a government," he told Arutz Sheva, "but on the other hand, there is no doubt that the attempt to create a union with Yisrael Beytenu, so that we have a broad governing party, did not receive enough support. It turns out that most of Israel's citizens prefer sectoral insularity over ability to govern."